the years ACE Commercial has grown along with the times to be able to offer you many brands of coin & commercial laundry equipment, choices in supplies, and a top-notch Parts Department. As a 3rd Generation laundry Family-owned & operated company, we have always had the focus in mind that if we take care of our customers by offering quality products, good customer service & a reputation for conducting fair business dealings for everyone involved- not only would we have a repeat customer base though our hard work and going above & beyond- but we might just make some friends along the way. 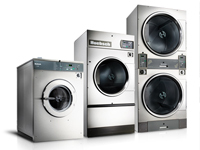 We would love the opportunity to work with you on your next project- Anywhere in Southern California whether its replacing a washer/dryer set in your apartments, updating your Coin Laundromat equipment, or converting a 4,000 sq ft plant over to Hi-Efficiency Industrial washers. 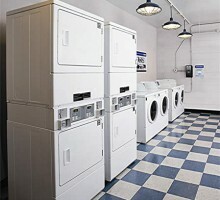 ACE Commercial offers laundry equipment to the hotel/motel industry, health care, schools/colleges, health and country clubs, fire departments, food processing plants, correctional facilities, beauty salons and vended laundries. 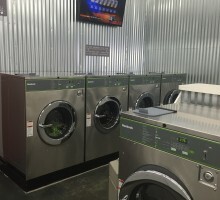 Huebsch brand equipment and their Galaxy controls make laundromats more profitable and run more efficiently than other inferior brands. Hard mount & Soft Mount washers, High Volume Dryers, & flat-work finishers all allow customers to have more put though-put in your facility. 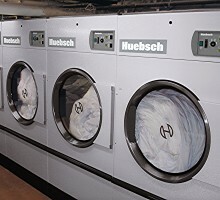 ACE Commercial Laundry Equipment Inc distributes Huebsch Laundry Equipment in the Southern California Marketplace.